Those who tuned in for the series finale of Sharp Objects last night also caught a glimpse of all the exciting stuff to come on HBO. There was the first look at Mahershala Ali in True Detective Season 3, and new seasons of The Deuce, Barry, Veep, and Big Little Lies. But during that minute and 40 second tease we also got the very first footage from Game of Thrones‘ final season! 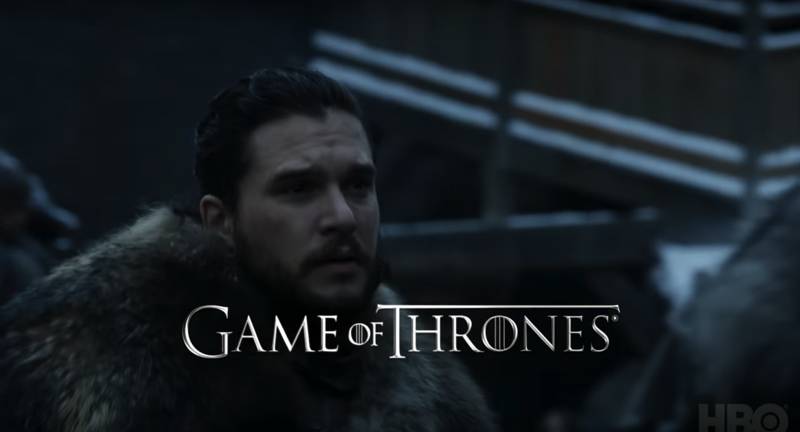 The teaser is peppered with shots of Jon Snow and Daenerys from Season 7, but at the 1:10 mark we actually get brand-new footage. OK, admittedly it’s only three seconds long, but it’s something. And with who-knows-how-many months until Season 8 arrives, you bet I’m gonna dissect every pixel of those three seconds. Here we’ve got Jon in his fur coat and those big furry brows of his. So what can we gleam from this? Well Jon is clearly back in Winterfell, based on snowy railings behind him. My best guess is this is from early on in the new season, likely the first episode. Last we saw Jon, he was sailing away from his meeting with the Lannisters and knocking boots with Dany. And here he’s embracing Sansa. 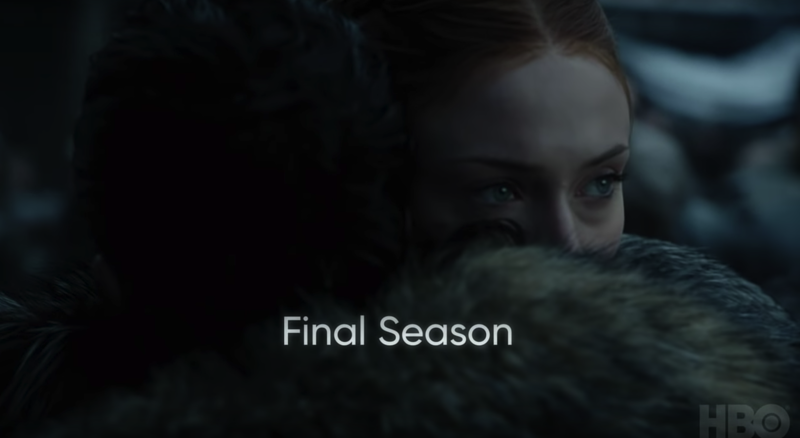 While you may think this is reused footage from Jon and Sansa’s Season 6 reunion, it definitely isn’t – he wasn’t wearing the fur coat in that and it was snowing. At first Sansa's eyes are cast downward, but they quickly dart up and to the side. WHAT IS SHE LOOKING AT? WHO IS SHE GIVING THE DEATH STARE? Could it be her bro’s new Targaryen girlfriend? Jon is likely arriving with Dany by his side and about to break the news not only of their alliance, but that they’re in love. I’m sure that will go over nice and smoothly with Lady Sansa and the rest of Winterfell. Fingers crossed we get an actual teaser with some substantial footage soon. HBO has yet to announce a release date for the eighth season of Game of Thrones, but we know the final six episodes will air sometime in the “first half“ of 2019.